Microsoft this afternoon released Internet Explorer 8, and word from the CRM team is that CRM 4.0 is officially supported on this new browser. The CRM team worked closely with the IE team to test the browser against CRM, and, except for one minor outstanding issue (I don't know yet what that issue is) the IE8 team has knocked out all the issues that the CRM team identified. Click the title of this post to visit the IE8 download site. Does anyone know the URL in which Microsoft positively and explicitly express this compatibility? We have also experienced problems with the outlook client after IE8 installed. We have found that the only sure fire way of getting round the outlook toolbar issues and pop up blocker messages is to go into Vista control panel -> user accounts and disable User Account Control. 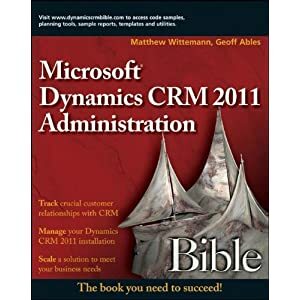 Your computer complains but it makes CRM work! Not and ideal solution and MS are looking into why this occurs. Worth noting this solution i believe is only a fix for those using Vista.